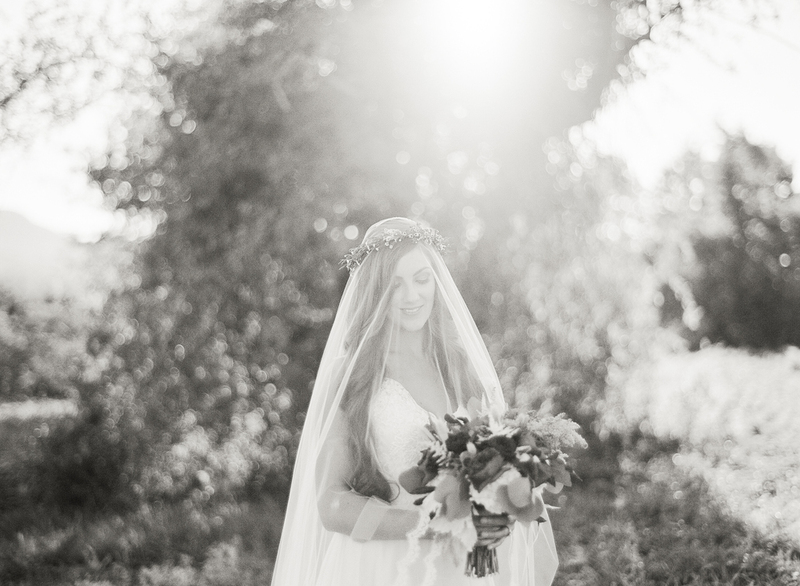 The scene for this bridal shoot is set at the foothills of the Seven Sisters, where the golden afternoon light shines on an enchanting bride awaiting her love. Styled in a lovely ivory gown with a full tulle skirt and a delicate lace bodice, she is the epitome of timeless beauty. 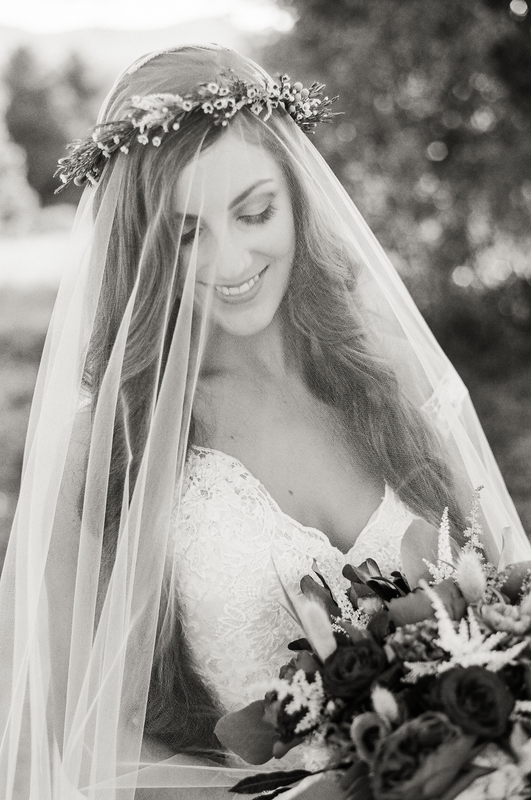 Her waist-length tresses hang loose and her head is adorned with a simple flower crown. 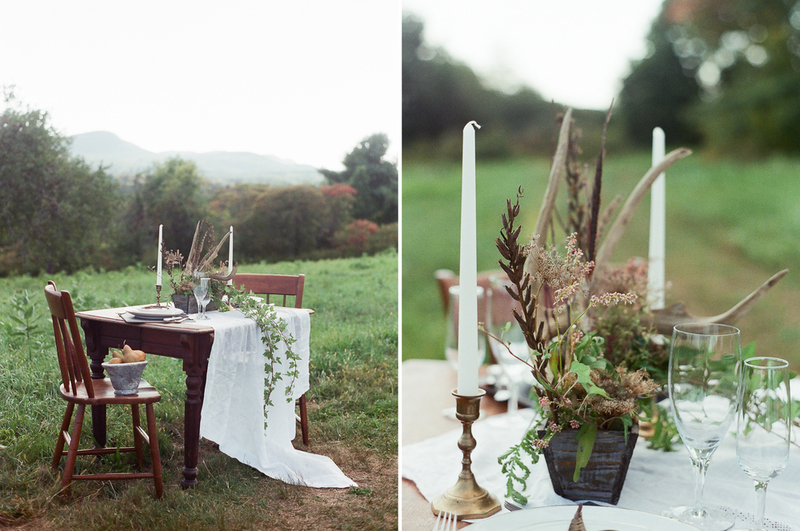 The rustic table and chairs blend naturally with the stunning early autumn landscape as do the antique place settings. 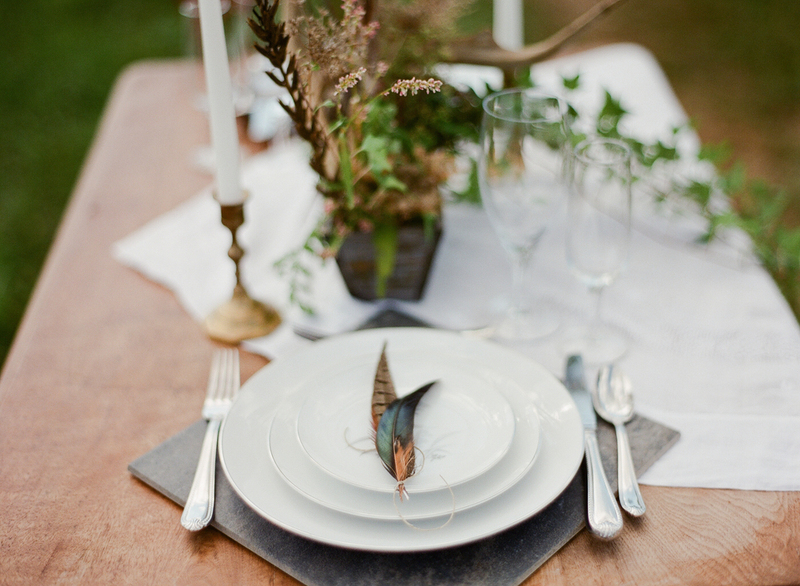 The handcrafted centerpiece features antlers, pheasant feathers and cascades of ivy. 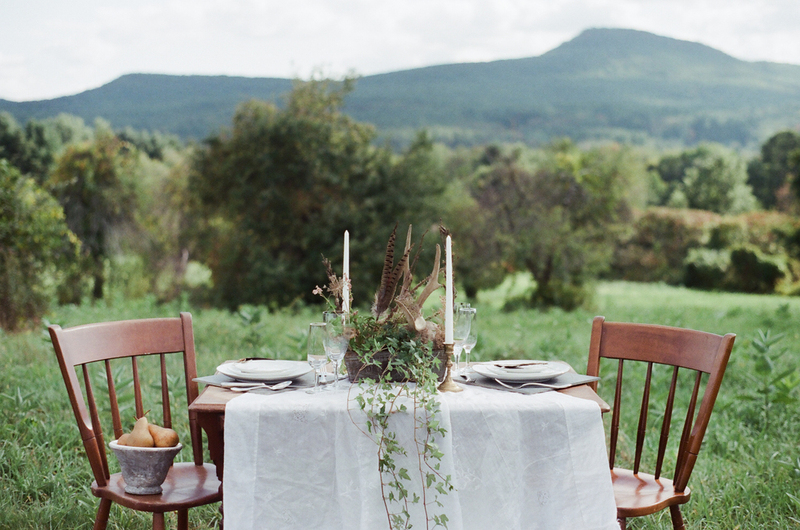 A more romantic, yet natural setting cannot be imagined for this lovely bride.